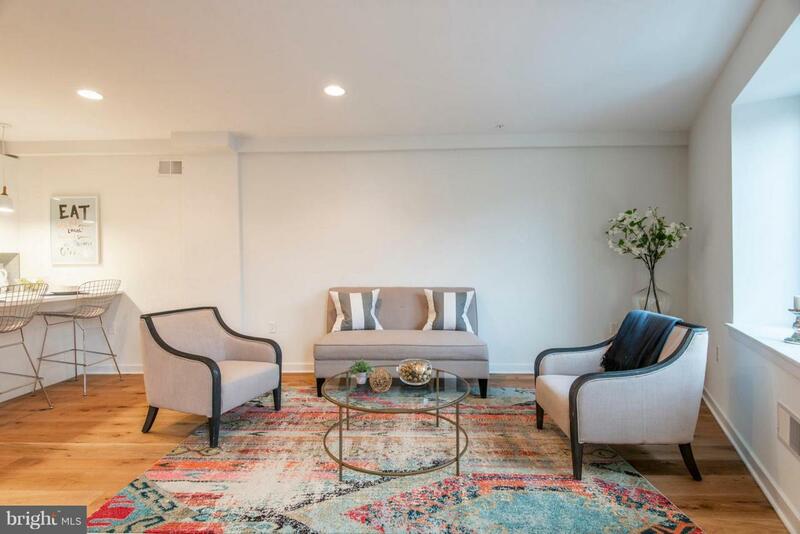 Welcome home to this new construction ultra contemporary city house in the heart of Queen Village. Enter into a lovely sitting room with high ceilings and full bathroom leads to bonus room with access to rear patio with pocket doors and full bathroom.Ascend to the fabulous open-concept living floor with spacious chef's eat-in kitchen. High end Kitchen Aid stainless steel appliances, white quartz counters, peninsula and bar area, custom back splash and sleek contemporary cabinetry and open shelving. Open-concept dining area and living room great for entertaining. Upstairs are 2 guest bedrooms and hall bathroom. One bedroom boasts floor to ceiling windows with incredible light and views could also make a very cool home office. Hall bathroom and laundry room complete this floor.Master floor oasis features huge master bedroom with wall of windows and incredible skyline views. Walk-in closet and fabulous contemporary master bathroom with step-in shower, double vanity and separate water closet with pocket door. Wide plank natural hardwood floors and custom metal railings throughout give this architecturally unique contemporary home a loft-like feel.Roof top deck with spectacular 360 degree views of skyline, bridge and river.Finished lower level would make a great home gym/play room/office or storage room.Premier location in Nebinger catchment. Easy access to Center City, public transportation and major highways. 10 year property tax abatement.